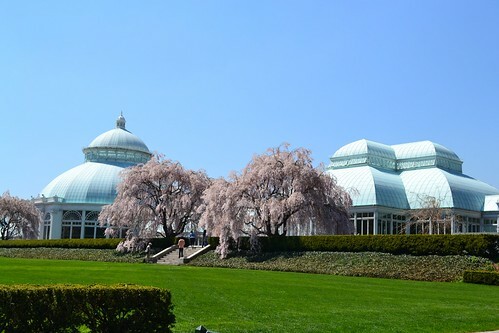 Whether you are a tourist visiting New York City on vacation or a resident of the bustling, ever-busy city, it's well worth planning some time to see the New York Botanical Garden. Located in the Bronx, near the Bronx Zoo and historic Arthur Avenue, it's an easy 20 minute trip from Grand Central Terminal yet you'll feel as though you're in another world entirely. The New York Botanical Garden features some 250 acres of gardens and natural landscapes, wetlands and old growth forest, and a stunning "crystal-palace style" greenhouse which houses tropical and desert plants. There are great activities and exhibits for both the young and old to enjoy, and it's also a photographer's paradise! Read on to learn more about the Garden: its history, major attractions, and how to plan your visit. All photographs on this page are by the author, sockii. 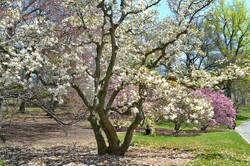 You can see my full New York Botanic Garden photo gallery at Flickr. 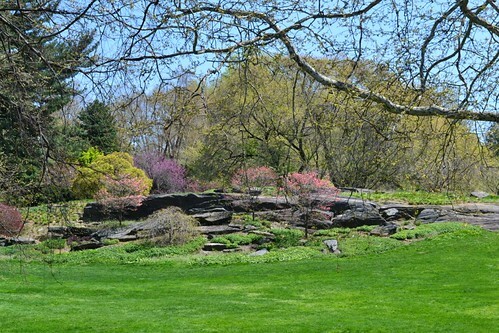 The New York Botanical Garden (NYBG) was established in the year 1891. Most of the land which makes up the Garden today belonged to the Lorillard family, from whom it was purchased by the City of New York to create the Garden along with the Bronx Zoo. 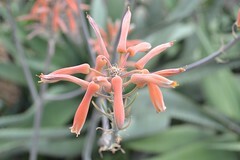 The creation of the Garden was spurred on by a fundraising campaign led by the Torrey Botanical Club and Columbia University Bontanist Nathaniel Lord Britton and his wife Elizabeth Gertrude Britton. 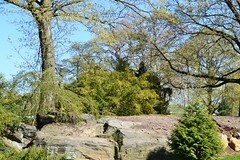 Their desire to create the Garden was due to a visit to the Royal Botanic Gardens in London, which they wished to emulate here in the United States. 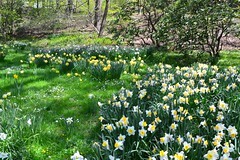 It's easy to spend an entire day at the NYBG without having the time to see it all. And in every season of the year there's something to enjoy, from the early Spring flowers to the colorful foliage of Autumn. 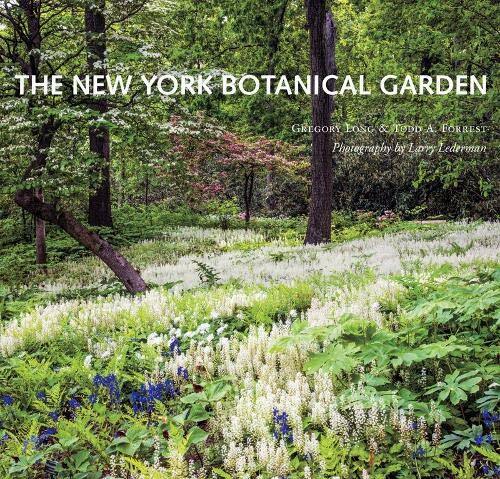 The New York Botanical Garden was declared a National Historic Landmark in 1967. 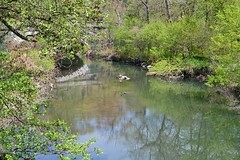 Over 900,000 people visit the NYBG annually to explore the grounds, relax and take in the tranquility of this space away from the NYC skyscrapers and busy streets. 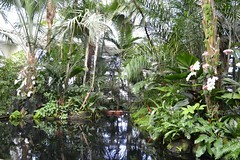 But the NYBG also plays an important global role in plant research and education. The Pfizer Plant Research Laboratory opened in 2006 with an emphasis on plant genomics, with projects exploring the evolutionary history of plants, plant use by immigrant populations in New York, and also creating a DNA library of plants. 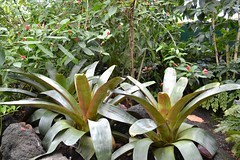 On site is also the LuEsther T. Mertz Library, considered the largest botanical library in the Americas. It holds many rare works and books, including writings by Charles Darwin. ...and why it's one of the "Treasures of New York"
The New York Botanical Garden is open year-round Tuesday-Sunday and certain holiday Mondays. Hours are seasonal, from 10am - 5 or 6pm. You can either buy a grounds-only ticket to walk the outdoor gardens, or get a full ticket to enter the conservatory and certain gardens, view special exhibitions, and utilize the tram tours. On Wednesdays and early Saturday mornings it's free to enter the grounds as well. 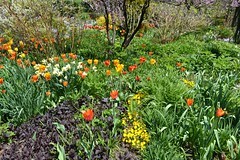 The exact Garden location is 2900 Southern Boulevard, Bronx, NY 10458. Parking is available on site, but the easiest way to get there if you are coming from Manhattan is to take the Harlem line of the Metro-North Railroad. 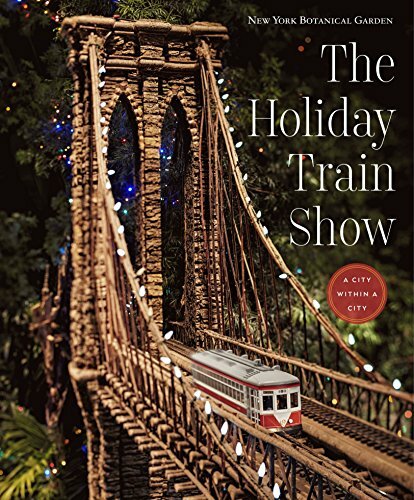 Trains run frequently from Grand Central Terminal, and it's only a 20 minute ride to the Botanical Garden stop. There are also nearby subway and bus routes; check the MTA website for more information. Visitors are welcome to picnic in designated areas, but there are also dining and beverage options available on site. Since you'll be outdoors most of the time, be sure to dress appropriately for the season—and bring your sunscreen! 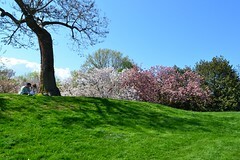 For more information on planning your visit, check out the New York Botanical Garden official website. 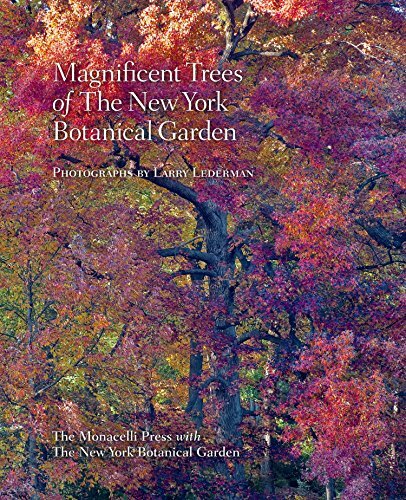 How easy is it to get to the NYBG? Just watch this video to find out! 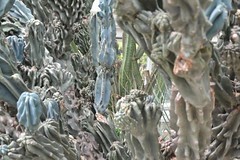 Have you ever been to the New York Botanical Garden? Would you be interested in visiting it in the future? Feel free to leave your comments below, and thanks for visiting this page! 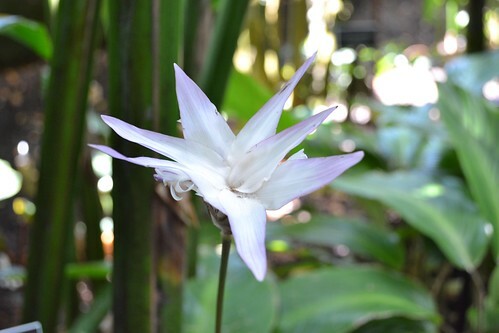 The Botanical Garden looks lovely and your pictures are awesome! I'm also part of a group of Pensacola photographers and I'm definitely impressed. •	I've read all of your information that you shares in your article and I love it. Many thanks for showing this post. I enjoy it. Wow 250 acres - now that a BIG garden! I'll have to try to get there next time I'm on the East Coast. Another great article, thank you. 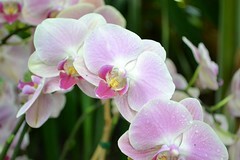 Yes, I've been to the NY Botanical Garden, and of course I want to go back! This is one more place where I could have spent the whole day and even that would not have been enough time. Outstanding photos! 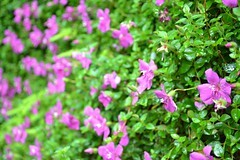 The flower images are spectacular. One of my fav places in this city, I dream of living near there. 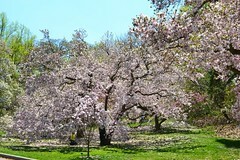 Prospect Park is a sneeze away, it's a beauty as well. This was a great read, well done. @happynutritionist - would you believe I live in New Jersey, and grew up near Warwick New York, and never knew until now that NJ had our own Botanical Gardens? It's quite close to where my mom lives, in fact, and I never knew it was there. I will for sure have to visit them soon, thanks for the tip! How beautiful! I have saved information written on another source about our Botanical Gardens in NJ and will have to add it here one day. I love going at this time of year. My daughter was married at our botanical garden. @CruiseReady - the daffodils are really lovely, especially as they have been allowed to naturalize for many years and create a beautiful Spring garden. I want to come back another time when I can really explore the forest trails and spend more time off the beaten paths. The Cloisters are a wonderful place to visit when in New York City. Explore a large collection of medieval European art in a wonderful garden setting.